The mission of the exposition site which is currently under renovation is to become an active regional museum, a creative lab, a place for intercultural encounters. The new exposition will present creative and personal life of the famous cubist sculptor, Jacques Lipchitz (1891-1973), who was born in Druskininkai, lived and worked in France, USA, Italy, from the anthropological perspective, i.e. taking into consideration the sociocultural context of the 20th century. Special attention will be allotted to J. Lipchitz’s connection to Lithuania, which remained strong despite the Iron Curtain that separated the artist from his homeland. “I am a sculptor from Lithuania”, J. Lipchitz used to say while opening exhibitions in world’s most famous museums and galleries, even though Lithuania was absent from the world map. The sculptor took care of expatriate Lithuanian artists; in his correspondence with Vladas Vildžiūnas and Vytautas Landsbergis showed interest in Lithuania’s cultural life, discussed works of art of M. K. Čiurlionis, who also hailed from Druskininkai. 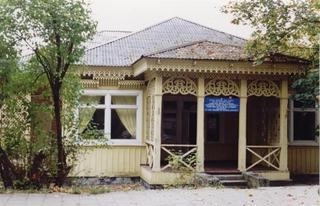 The history of Druskininkai’ Jewish community will be also presented in the exposition and various educational activities will be organized for the museum’s visitors. For more information, please contact museologist Aušra Rožankevičiūtė, tel. 8 616 57890, e-mail: ausra.rozankeviciute@gmail.com.